FIRE FIGHTING---THE LAST UNBRELLA OF YOUR LIFE AND PROPERTY. Please note :the pump will be not sold individual,it must be match with engine or electric motor driver. CNP was founded more than 25 years,At the beginning, CNP focused on the research and development of stamping and welding stainless steel centrifugal pumps. 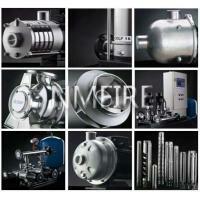 Now CNP is the second largest manufacturer on the stainless steel centrifugal pump in the world. 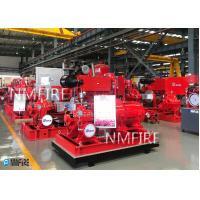 •NANFANG PUMP INDUSTRY CO., LTD.
•HANGZHOU HOWELL FLOW Co., Ltd.
CNP and NM Fire set up a cooperative enterprise in October,2013. introducing some experienced talents with international first-class technical level. The designation and production of the products are strictly consistent with requirements of international certificates,for changing the backward conditions in domestic market. 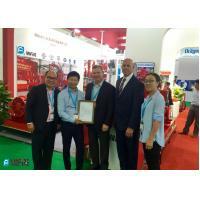 NM Fire is the first member of NFPA from Chinese pump manufacturers. In March of 2017, it became the first enterprise of China to have both UL & FM two international certification of fire pumps. 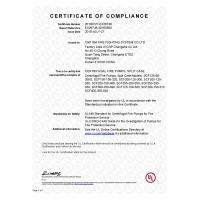 In September the same year, NM Fire again became the China’s first enterprise to have UL certificate for diesel fire engine. Currently, only 3 or 4 companies in the world have obtained fire engine certification. 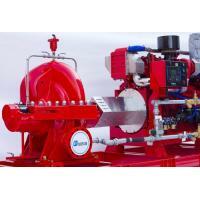 NM Fire is also the first company in the world to have both UL Listed fire pumps and fire engines. 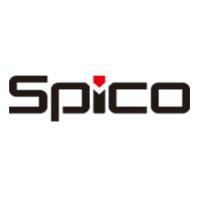 This series of achievements will completely break the long-term monopoly situation of fire products by European and American brand, which speed up the pace of Chinese enterprises to go overseas. As the first Chinese member of NFPA, NM Fire has a strong technical team with more than 20 years’ global fire equipment R & D experience, including a number of foreign engineers and experts. NM Fire became the first company in the world to have both UL Listed fire pumps and fire engines, which consisted of the NM Fire Team’s 5 years’ hard work and huge investment by enterprise. This series of historical breakthrough results play a very important role in enhancing the technical level of China’s fire industry and effectively protect national life and property. This is also the primary goal we pursue. 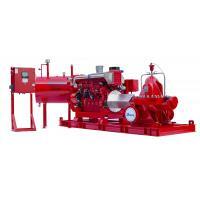 Rated Capacity PUMP MODEL(UL) Rated Net Pressure Range, Approx. Speed, Impeller Diameter, mm. Designation Rated Net Pressure Range, Approx. Speed, Maximum Working Pressure, Impeller Diameter, mm. In addition to the above models, there are many model UL/FM testing in process. Looking forward to your enquiry. 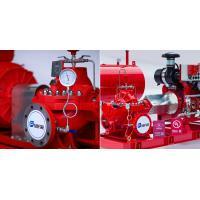 Q1.Do you have the UL-LISTED Fire Pump Sets? 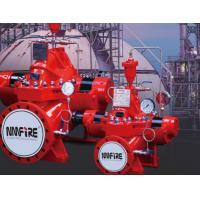 Yes, We have the UL/FM and NFPA standard Fire Pump Sets. Q2.Please quote the XXGPM@XXXPSI Pump without driver. 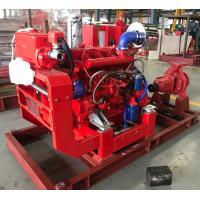 Sorry, pump are not sold separately, pumps and drives are sold together. Q3.I need your motor drive End-suction/Split-casing fire pump, what information shold I sent to you ? Sir/Madam,you can privide the Capacity, Heed, Voltage and Frequncy,we will make the quotation for you,If you need Jockey Pump or other accessories, please tell us together. 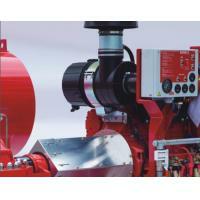 Q4.If I need your Diesel Engine Drive End-suction/Split-casing fire pump, what information shold I sent to you ? You can sent the Capacity Heed, Temperature and Altitude (temperature and altitude will affect the performance of diesel engines).If you need Jockey Pump or other accessories, please tell us Voltage and Frequncy or accessories together. Q4.I need the UL Vertical Tubine Fire Pump Set ,please sent me the price. 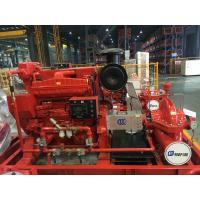 For the motor Diver Vertical Tubine Fire Pump Set: you shoul give us the Capacity, Heed, Voltage Frequncy and the tank deep. 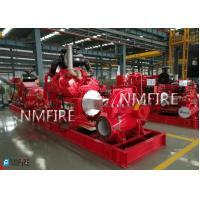 For the Diesel Engine Drive Vertical Tubine Fire Pump Set:you should give us the Capacity, Heed and the tank deep. If you need Jockey Pump or other accessories,please tell us together. 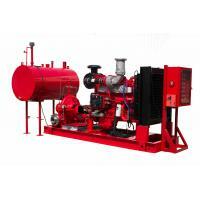 Q5.May I ask what is the lead time of this fire pump and the jockey piump if ever we order them from you? Under normal cicumstance,75days ,we will notify the delivery date after receiving the deposit. Q6.Please advise if you can also send me the cost for the freight? Pls. confirm the model first,then we wil estimate estimate. 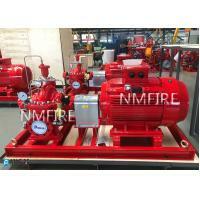 The Fire Pump Sets are customized production, actual packaging size and estimated size will be different. 3. Data and chemical technology support.